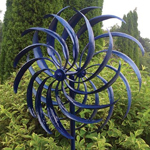 Looking to bring lively kinetic motion to your garden? 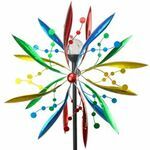 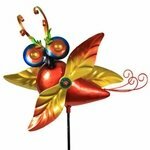 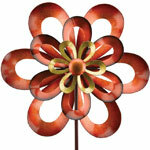 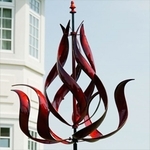 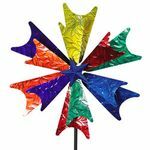 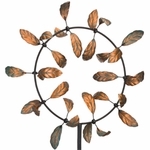 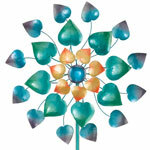 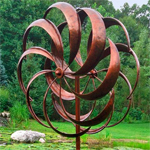 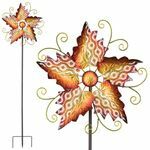 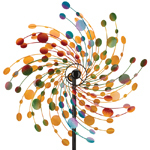 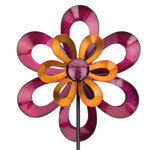 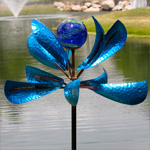 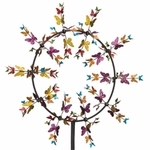 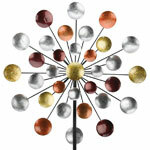 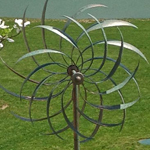 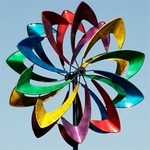 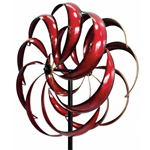 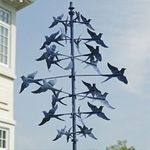 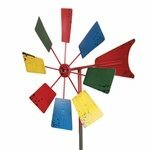 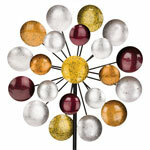 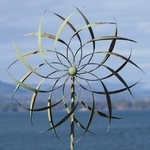 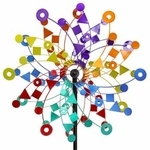 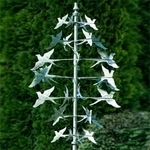 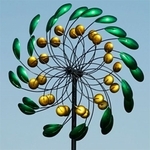 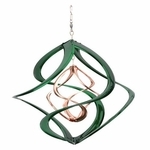 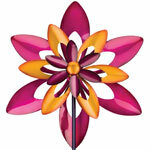 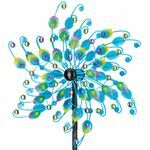 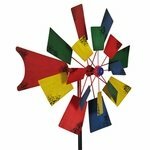 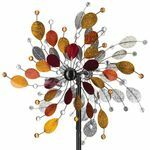 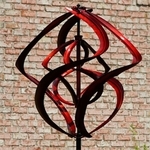 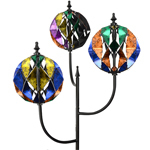 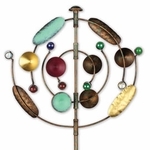 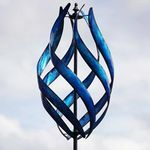 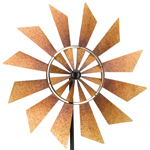 Garden Wind Spinners can elevate any plain or boring landscape into a colorful and artistic landscape! 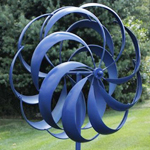 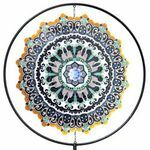 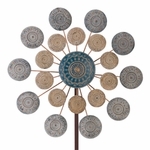 Get mesmerized and hypnotized in the endless design and motion of some for favorite Garden Spinners. 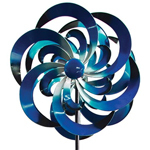 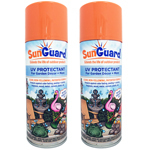 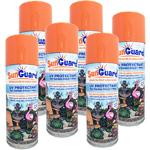 Most of them are made out of durable metal with bearings for easy smooth motion in the wind. 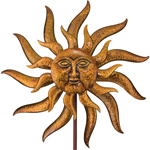 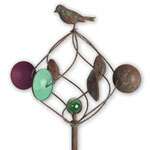 We have a few garden spinners that hang from a porch or a tree, but most of them stand stall on a garden stake. 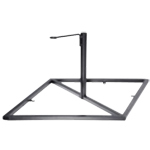 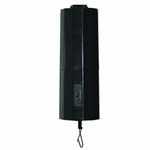 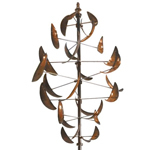 We have popular wind spinners that rotate around either a vertical or horizontal axis. 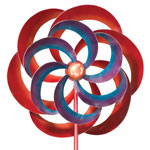 That means that some spin around like a clock, and others spin towards and away from you like a merry-go-round. 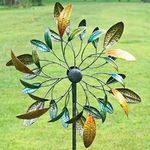 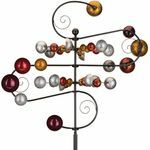 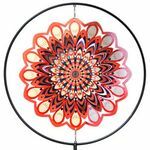 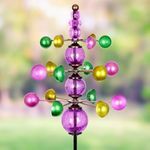 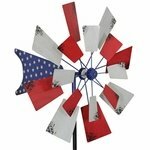 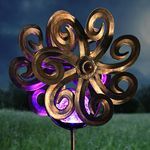 All of our wind spinners bring aesthetic design and playful movement to the yard, and also make for exciting yard art garden gifts! 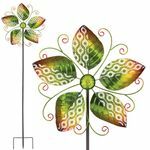 While many poets speak of leaves dancing in the wind, most garden enthusiasts absolutely adore watching their garden wind spinners playing in the breeze! 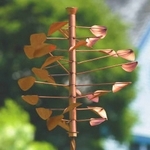 From the time we are children, we are fixated in the calming effects of visual motion. 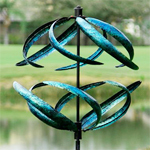 Just like a soothing massage feels great to the touch, or the sound of babbling brook is peaceful to the ear, the sight of fluid motion has a calming effect of it�s own. 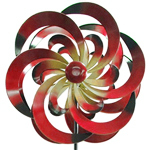 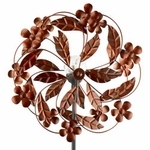 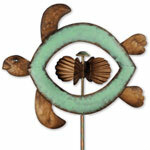 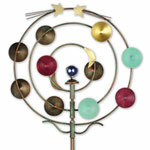 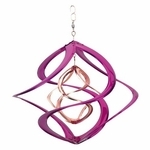 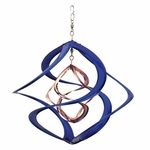 There are many great wind spinners to choose from in our collection. 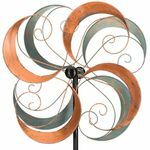 We have wind spinners like the Windswept and Windward designs that carry the shape of a classic spinner, and our Spinfast spinner and Big Sky Spinners are a slight variation to those. 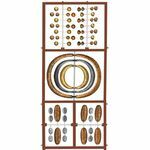 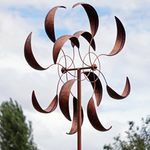 Most of the wind spinners we sell will have a pleasing symmetrical shape, however we have a few others that are slightly different in that regard as well. 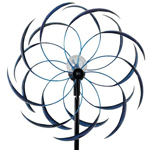 In the last few years we�ve added two new types of wind spinners that we are crazy excited about. 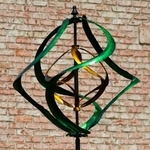 The first type is a lighted wind spinner. 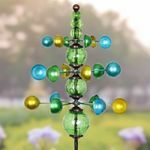 There are a few solar version like the Sedona Spinners that come in red or blue that have glass balls that charge during the day and shine in the evening. 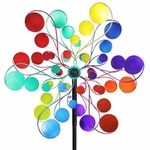 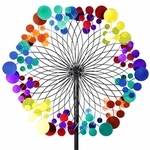 The solar pinwheel and solar windmill are similar in that way, but boast an explosion on bright colors in the spinners as well. 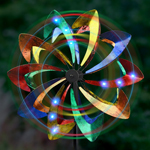 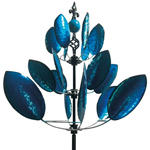 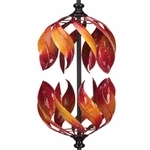 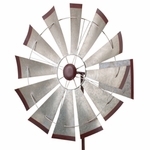 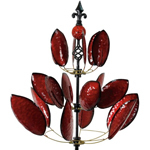 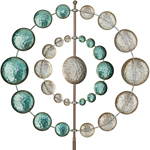 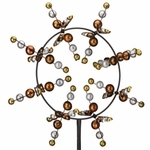 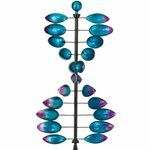 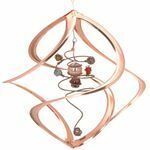 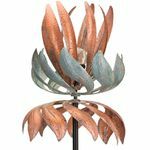 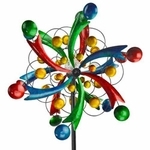 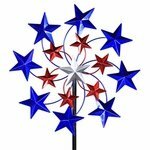 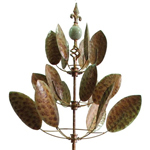 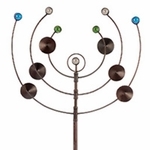 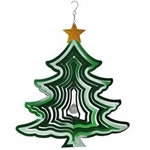 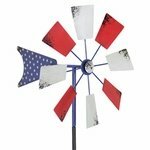 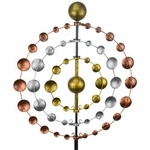 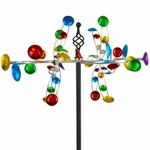 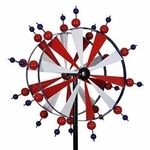 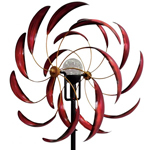 We have two other lighted wind spinners that are incredibly unique � they are wind powered! 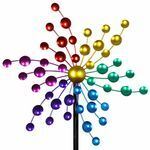 That�s right, they actually generate their own light through motion. 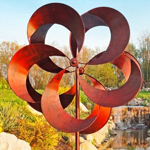 These two spinners have a small coiled motor at the axis that generates power when the two wheels are in motion. 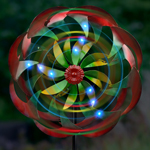 The power is connected to a display of LED lights that turn on when the wind is blowing. 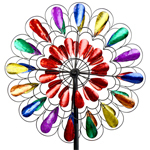 The faster they spin, the brighter the LED lights get. 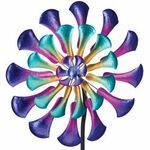 In over 10 years of selling spinners, these new wind-powered versions really took us by surprise, and customers love them. 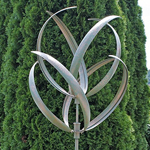 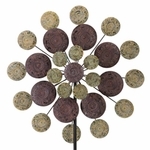 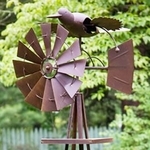 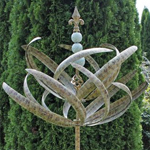 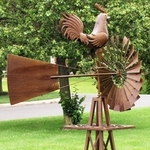 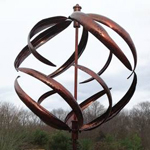 The second type of spinner type that we�ve recently added are the horizontal wind spinners that circle around the garden stake like a carousel. 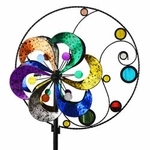 Our most popular versions are the Spring Reeds Wind Spinners. 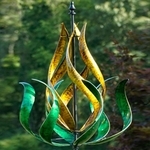 They are available in a red finish, and a harvest green finish. 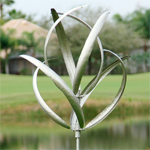 Both versions have three layers of long leaves that rotated in opposite directions. 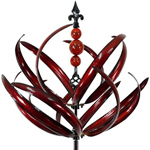 On top the feature decorative balls, and a pointed finial accent. 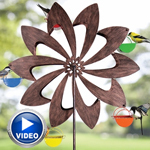 Click on them above and watch the video of these spinners in action, they are amazing! 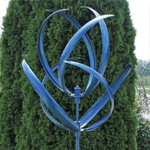 Other spinners that move horizontally include the Hampton Wind Spinners and the Cheyenne Wind Spinners, both designs available in three colors. 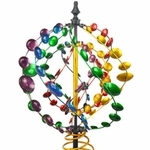 There are also themed spinners that include flames, and cosmic balls, gears and even birds and butterflies. 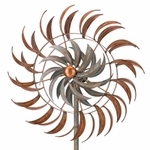 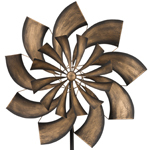 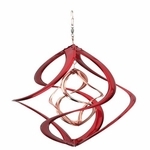 If you take some time to browse through, we�re certain you�ll find a wind spinner you love!